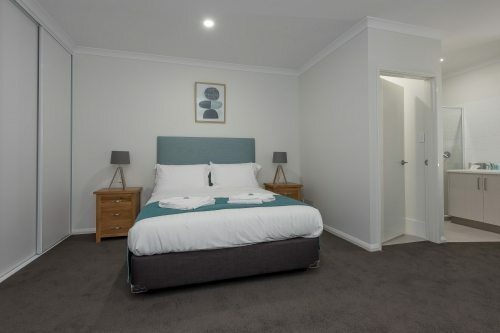 Jurien Bay Motel Apartments feature 25 rooms, ranging from Studio rooms to fully self contained 2 Bedroom apartments. All rooms have air conditioning, free wifi and free Foxtel channels. Our 1 & 2 Bedroom ground floor apartments feature their own private courtyard and our 1 & 2 Bedroom first floor apartments feature private balconies. 2 Bedroom, 1 Bathroom self contained apartment which sleeps 4 people.